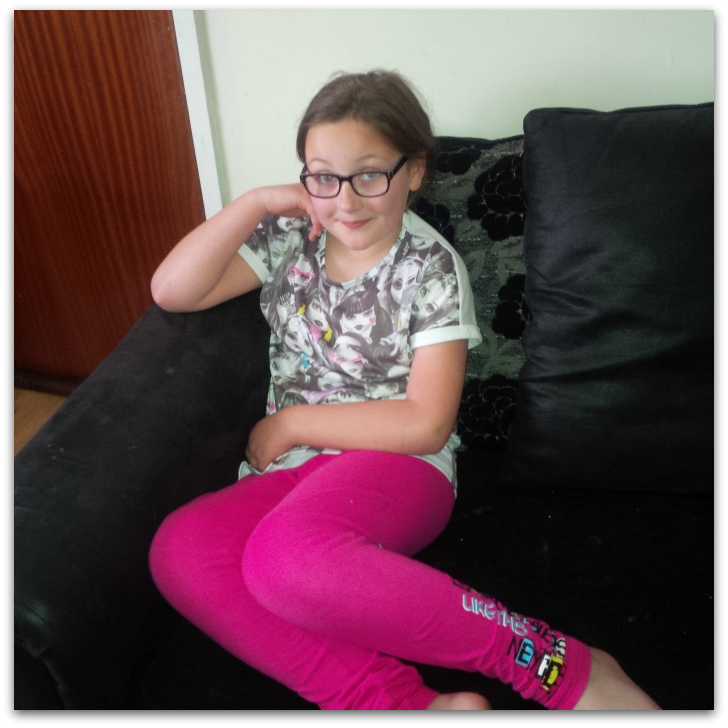 This week Olivia is having an extra 2 days off school thanks to the bank holiday and today’s general election. On Monday I decided I needed a sofa day. Yep, that’s correct I decided against going out and spending money I didn’t have. Luckily the sun came out and Olivia was happy playing in the back garden with her cousin and her dolls before coming in to make pitta bread pizza’s and a chocolate cake. After an early morning shower we implemented a PJ day or Loungewear day I should say for Olivia. 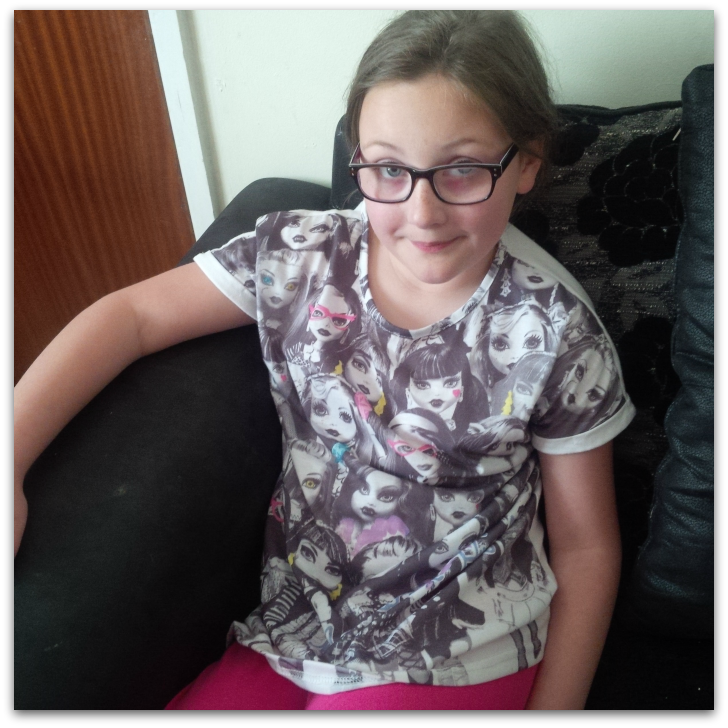 For her birthday I bought her the cutest Monster High PJ set. A complete impulse buy whilst browsing around Tesco. I knew she would love so I reluctantly coughed up £11! £11 for PJ’s seriously! Usually I would wait for them to go in the sale and hope they would still have her size but as it was her birthday I thought why not and the baggy top and leggings style bottoms are perfect for those days when the only time you leave the sofa is to put the kettle on! I was right and she loves the set thank god and I can encourage her to wear it as much as possible to get my moneys worth before she grows again! I love the contrast of colours. The characters faces on the top in black and white with bits of colour for accessories on different faces. 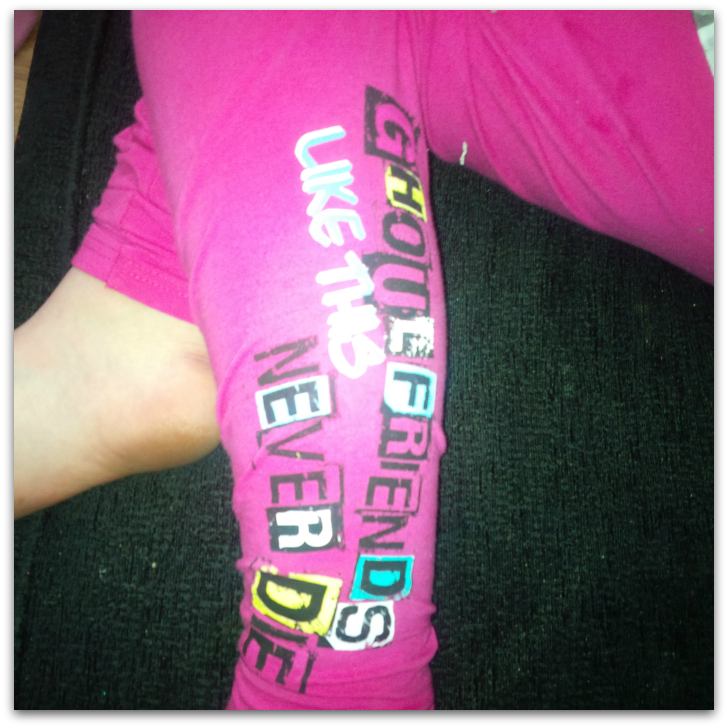 What’s not to love about the pink bottoms with one of Monster High’s sayings at the the bottom of one leg. What’s your outfit of choice for a lazy day around the house? Linking up with Clearly Bex and Mother Geek for another Trendy Tot Thursday post. Previous The Dresses Are Out!